A fun game of dominoes has long been a pastime around the cabin. 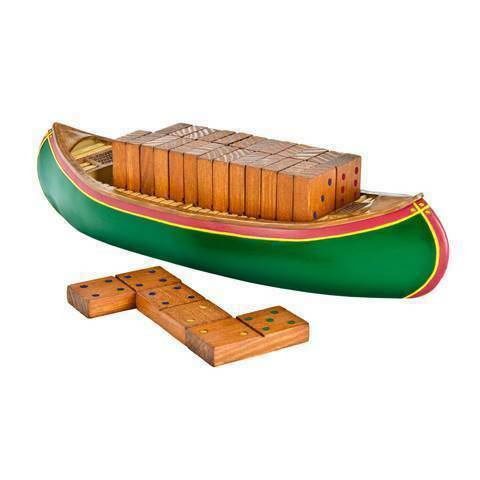 What better way to play at the lake than with a set of hardwood dominoes neatly tucked inside a hand-painted rustic canoe? It's great for rainy days, chilly nights and passing the time waiting for stragglers to get ready in the morning. Body is made of detailed hand-painted resin. 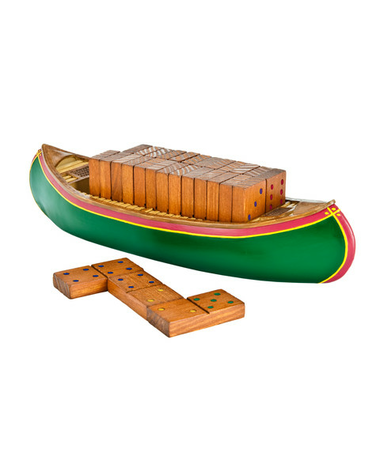 Includes one set of double-six dominoes (28 pieces). Dominoes are made of solid pine. Measurers 2.5 x 10.5 x 3.35 in.